It's been a while since we've seen you and we'd like to welcome you back with this exclusive upgrade. Earn Gold status when you come back and complete 2 stays at any of our 5,000+ hotels and resorts around the world. Offer valid for stays now through December 31, 2018 (“Promotion Period”) at any hotel or resort in the Hilton Portfolio. Hilton Honors™ members must first register prior to completing a stay within the Promotion Period. Registered Hilton Honors™ members will only receive credit for stay challenge for nights completed during the Promotion Period, regardless of a check-in date before the Promotion Period begins or a check-out date after the Promotion Period ends. Check out date must be on or before December 31, 2018. Qualifying stays exclude any rates ineligible for Hilton Honors™ Points accrual, which include rates booked via select third parties. 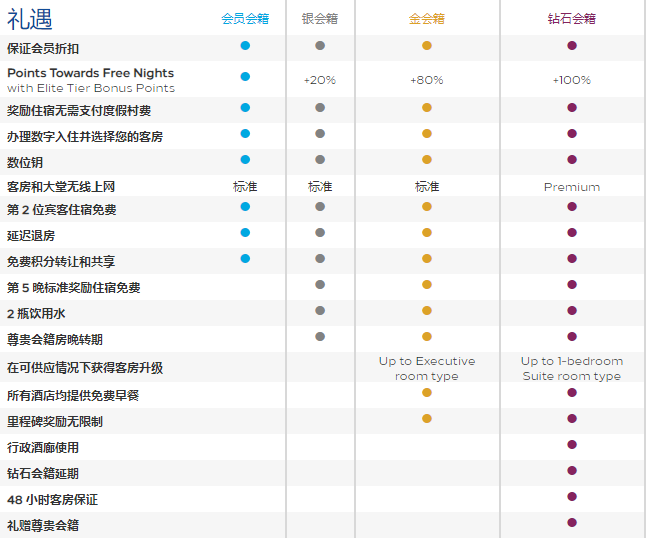 Stays subject to each hotel's change and cancellation policy varies based on rate or package booked. Blackout dates, early departure fees, and deposit and cancellation restrictions may apply and vary by hotel. Please contact the individual hotel to confirm their policy. Unless otherwise noted, all offer components are non-transferable or redeemable for cash. To book by phone within the U.S. or Canada, please call +1-800 HILTON HONORS™ (446-6677) or view Global Reservation phone numbers. To be eligible for Fast Track to Gold Status offer from Hilton Honors™ you must 1) have received this offer directly from Hilton Honors™, 2) be enrolled in the Hilton Honors™ program, 3) register to participate or join Hilton Honors™ using the same e-mail address associated with promotional invitation, 4) complete the stay challenge within the promotional stay window. Registered Hilton Honors™ participants must complete two (2) paid stay before December 31, 2018 to obtain Hilton Honors™ Gold status. Consecutive nights completed at a single hotel will be counted as a single stay, even if booked under multiple reservations. After registering and completing the stay requirement within the Promotional Period, Hilton Honors™ Gold status is subject to standard tier expiration policy, thereafter; standard tier requirements must be met to maintain Gold status. Please allow up to 3 weeks for your updated Gold status to be reflected in your Hilton Honors™ account profile. Hilton Honors™ Gold status member may choose from a variety of on-property benefits, which vary by hotel and are subject to availability. For additional information on tier benefits and qualifications, please visit www.HiltonHonors.com.